David Vandervelde's The Moonstation House Band was one of the most underrated LPs of last year, showcasing a considerable songwriting talent with exceptional T. Rex-style rockers like 'Jacket' and 'Nothin' No'. 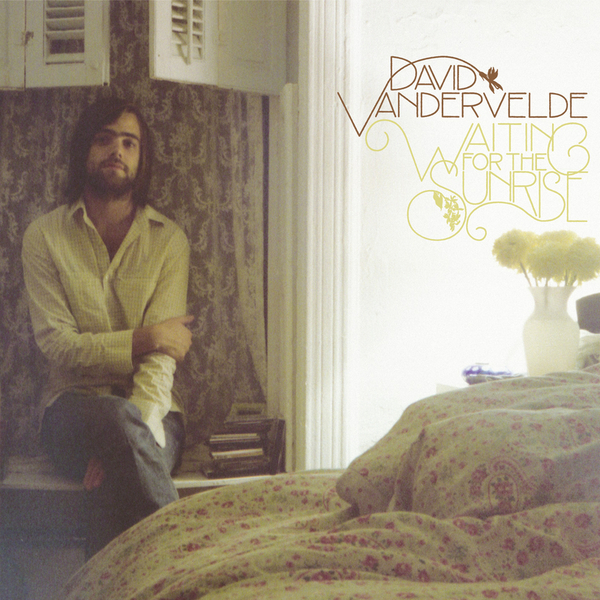 Now, on Waiting For The Sunrise, Vandervelde's sound moves on greatly, although stays firmly planted in rootsy 1970s rock sounds. While the last album was assembled in ex-Wilco member Jay Bennett's Chicago studio as a decidedly solo effort, Waiting For The Sunrise finds Vandervelde recording with his touring band, inevitably resulting in a more complete and rounded sound (although it should be noted that Bennett is involved with this album too, going so far as to co-write a song). In recent times bands like Fleet Foxes have successfully channelled that Laurel Canyon sound, and Vandervelde provides his own take on it, although Waiting For The Sunrise takes more of a middling AOR approach, occasionally suggesting the sort of thing that might have got a spin on The Jimmy Young Show back when Radio 2 wasn't quite as down-with-the-kids. A welcome return to the fuzzy glam rock form of old comes on 'Cryin' In The Rain', reminding you of the heights Vandervelde is capable of reaching when at the summit of his powers. Not as instant as The Moonstation House Band then, but the vintage recording sound, the all-round calibre of musicianship, and sheer old-fashioned swagger of this sophomore effort should be more than enough to hold your interest.